On Wednesday, April 17, four groups of University of Toledo students will vie for the chance to compete at the International Biodesign Challenge in June in New York City. 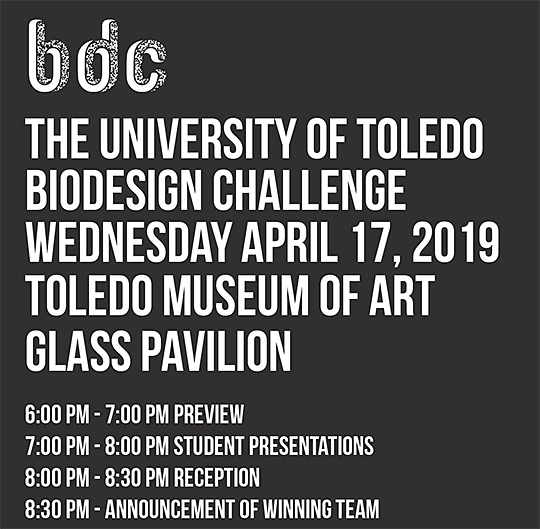 Each group will go head to head at the Toledo Museum of Art Glass Pavilion, where they will present their projects focusing on biotechnology and biomaterials that address complex global challenges. The event will start at 6 p.m. with a preview of the students’ work, followed by group presentations at 7 p.m. A reception will start at 8 p.m., and the winner will be announced at 8:30 p.m. The first group consists of art students Colin Chalmers and McKenzie Dunwald; bioengineering student Michael Socha; and environmental science student Ysabelle Yrad. Together, with assistance from Tamara Phares, instructional laboratory coordinator in the Bioengineering Department, they created an innovative solution to the problem of microplastics in the environment, working on a genetically modified plant that allows for an increased production of specific proteins. Group two — art students Tyler Dominguez and Andrea Price; environmental science student Anna Pauken; and bioengineering student David Swain — are collaborating with Dr. John Gray, professor of biological sciences, to design a genetically modified plant with enhanced carbon sequestration, while improving soil quality and rainwater infiltration. The third group is composed of art student Valerie White; bioengineering students Adam Kemp and Anthony Shaffer; and environmental science student Michala Burke. The four are creating a biological solution to indoor air quality issues utilizing emerging knowledge about the microbiome — micro-organisms in a particular environment. Group four — bioengineering students Sherin Aburidi and Timothy Wolf; environmental science students Courtney Kinzel and Sarah Mattei; and art student Tyler Saner — is working with Dr. Von Sigler, professor of environmental sciences, to create a non-antibacterial resistant treatment for MRSA and other superbugs. “The UToledo Biodesign Challenge Course offers students firsthand experience in interdisciplinary research and innovative prototype solutions to real-world issues,” said Brian Carpenter, assistant professor of art. The class is offered to students majoring in art and design; bioengineering; and environmental science. It is taught by Carpenter and Eric Zeigler, assistant professor of art. “By crossing philosophy, science, technology, art and design, students explore real-world problems and imagine alternative presentations of space, place, body and environment through interdisciplinary research,” Zeigler said. A total of 161 eye-catching entries vyed for top honors in the ninth annual Lake Erie Photo Contest. All entries are on display in the Lake Erie Center Lobby, 6200 Bayshore Road, Oregon. “We love this contest; we love seeing the fantastic photographs that are submitted every year, and we love that everyone is out enjoying nature,” said Rachel Lohner, education program manager for the Lake Erie Center. • Youth (7 to 12 years old) — Natalie Gibbons. Lohner said the photo contest is designed to inspire camera enthusiasts and others to explore nature in the Lake Erie region. Visit the Lake Erie Center’s Facebook page to see more photos from the contest. 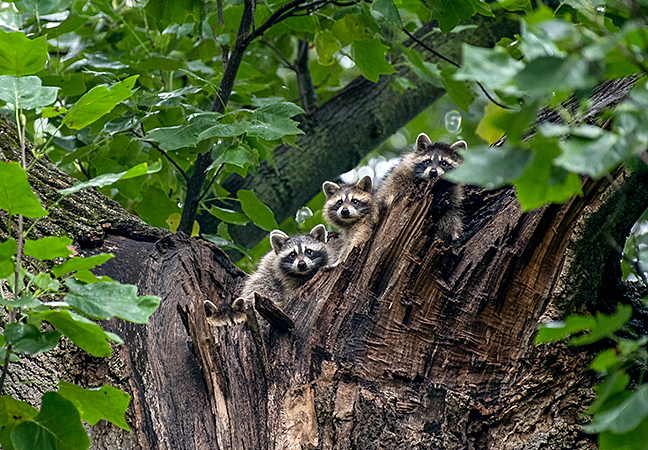 Michael Henningsen took home the overall top prize for this photo of raccoons. 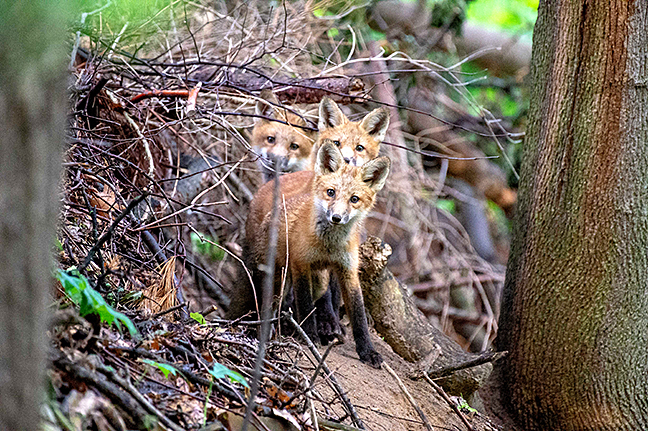 Michael Henningsen also won first place in the adult category for his photo of foxes. 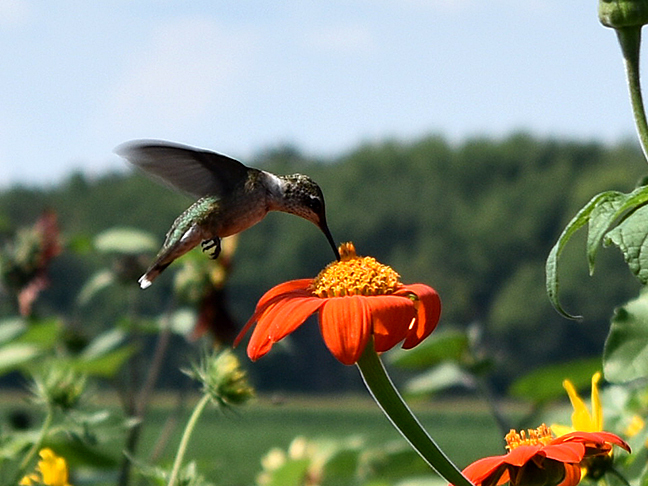 Bekah McVicker placed first in the teen category with this shot of a hummingbird. 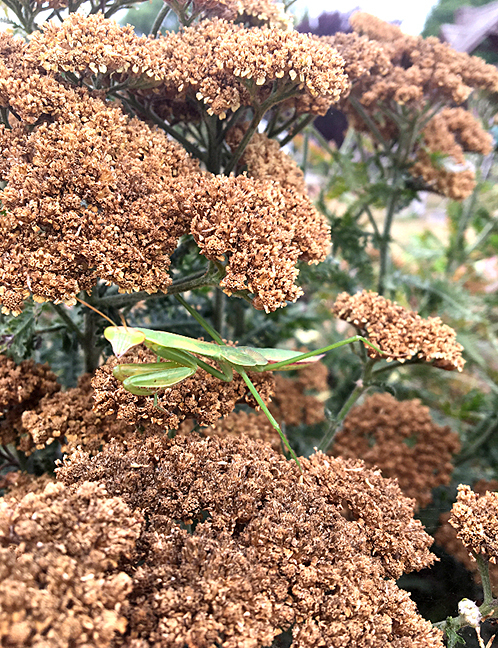 Natalie Gibbons received top honors in the youth category for her photo of a praying mantis. 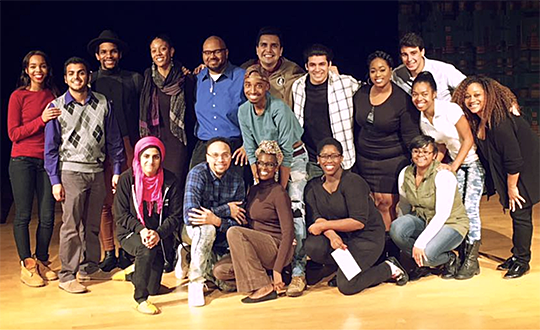 The Black and Brown Theater of Detroit will give a staged reading of “Lysistrata” with a discussion with the audience after the show Friday, April 12, from 1:30 to 3:30 p.m. in the Savage Arena Joe Grogan Room. The free, public event is sponsored by the Program in Law and Social Thought; the School for Interdisciplinary Studies; the Inside-Prison Exchange Program; the Jesup Scott College of Honors; the Office for Multicultural Student Success; and the Department of Political Science. Dr. Renee Heberle, professor of political science and co-director of the Program in Law and Social Thought, hopes students, faculty and staff will join in this opportunity to engage with performers who are re-creating the classics of Western theater in the voices of people of color. Black and Brown Theatre’s Classics in Color Series takes well-known stories and incorporates a cast composed entirely of people of color. The series aims to enable people of color and students of color to see themselves in the classic narratives that they were exposed to in the classroom setting. The casting of these shows encourages theater directors to rethink how they cast plays. “When you see Black and Brown present ‘Frankenstein’ or Black and Brown present ‘Scarlet Letter,’ you know it is something different, it’s something great,” said Jonathan Curry, actor and Black and Brown Theatre board member. “When we see people of color play kings and queens on stage, our communities can see themselves as such and people outside of our communities can see us in a new light. Following the reading, audience members will be able to share their reactions to the text and the ways in which they can connect the story. 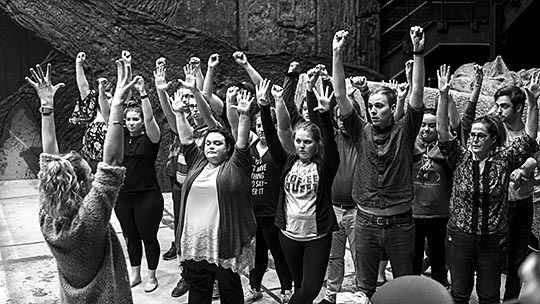 For more information on the staged presentation, contact Heberle at renee.heberle@utoledo.edu. For more information on the Black and Brown Theatre, visit the company’s website. 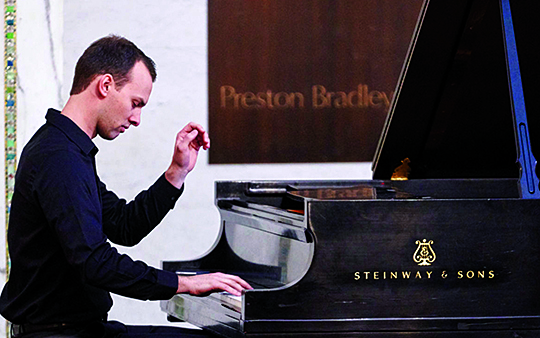 The 2018-19 University of Toledo Dorothy MacKenzie Price Piano Series will conclude this month with a free master class and concert by guest pianist Joseph Kingma. He will present a master class Saturday, April 6, at 10 a.m. and a concert Sunday, April 7, at 3 p.m. in the Center for Performing Arts Recital Hall. Kingma, whose sound has been described by conductors as “rich and encompassing, yet delicate and refined” and “flawless and expressive,” maintains a career as both a prolific performing artist and committed teacher. He has won awards in numerous international competitions, most recently first prize in both the American Liszt Society’s 2017 Franz Liszt International Piano Competition and the Monroe Symphony League’s 2018 Marjorie Stricken Emerging Artists Competition. Last year, Kingma was invited to perform a selection from Liszt’s “Album d’un Voyageur” at the American Liszt Society’s annual festival held at Furman University. The assistant professor of piano at Palm Beach Atlantic University is represented in North America by Elegy Artist Management. For more information, contact Dr. Michael Boyd, UToledo professor of piano, at michael.boyd@utoledo.edu or 419.530.2183. The University of Toledo Department of Music will welcome jazz vocalist Kim Nazarian of New York Voices as the guest performer for the 2019 Jon Hendricks Memorial Jazz Scholarship Concert. The concert will be held Tuesday, April 2, at 7 p.m. in the Center for Performing Arts Recital Hall. For the past 25 years, Nazarian has been harmonizing all over the world with New York Voices. In 2012, she was recognized as one of the top 50 most influential Armenian artists and was inducted into her high school’s hall of fame. 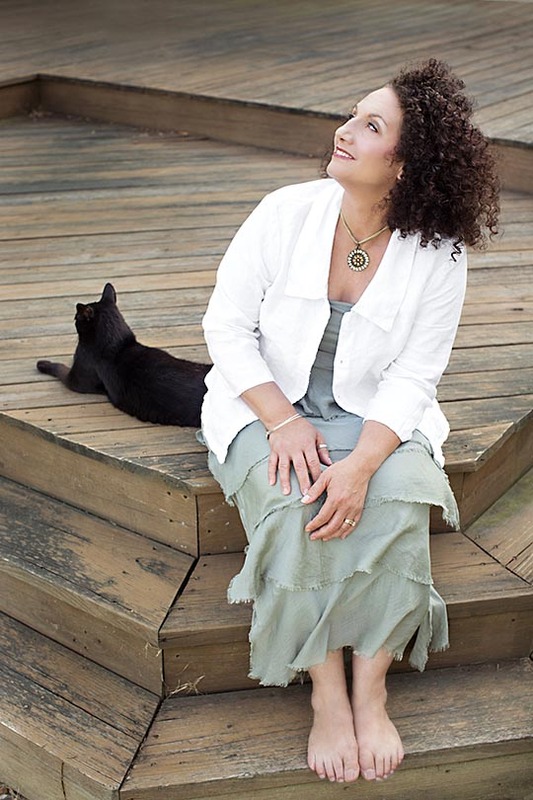 Along with the many recordings Nazarian has made with New York Voices, she is proud to be one of the featured voices on Bobby McFerrin’s “VOCAbuLarieS” CD. Another recent professional highlight is her collaboration with the Smithsonian Jazz Masterworks Orchestra and the Manchester Craftman’s Guild on a concert tour dedicated to the late, great Ella Fitzgerald. Nazarian also is part of a special program called “Vocalese,” created by visionary producer Larry Rosen, which has integrated New York Voices with the Manhattan Transfer and Jon Hendricks. The Ithaca College graduate specializes in teaching vocal technique and the art of ensemble singing. For the past three years, she has represented the USA as a judge for the International A Cappella Competition in Graz, Austria. She will be a guest teacher in Germany this summer. Nazarian has conducted the New York and Arizona All-State Jazz Choirs, and many area and district jazz choirs in the United States. Her highly acclaimed workshops have been presented at the Jazz Education Network and many state Music Educators Association conferences. In addition to her extensive studio credits as a movie score and jingle singer, some of Nazarian’s other recordings include “Red Dragonfly in NY” produced by Jiro Yoshida; “Long Ago and Far Away,” an original children’s radio show; and guest appearances on “An Afternoon in Rio” with guitarist Joe Negri (the handyman on “Mr. Rogers’ Neighborhood”); “Two Worlds” with Boston-based band El Eco; and Mark Shilansky’s “Join the Club” release. In 2015, Nazarian released her first solo disc titled “Some Morning.” Guests on the recording include Paquito D’Rivera, Gary Burton, John Pizzarelli and Sean Jones. Hendricks, a jazz legend, was one of the originators of vocalese, a jazz singing technique in which a vocalist improvises lyrics to existing instrumental songs and replaces many instruments with his or her voice and that of other vocalists. Hendricks was a beloved member of the University Music Department faculty in the Jazz Studies Program for many years before he passed away in November 2017. Proceeds from the concert will benefit the Jon Hendricks Memorial Scholarship Fund at The University of Toledo. Tickets — $10 for general admission and $5 for students and seniors — are available in advance from the Center for Performing Arts Box Office at 419.530.2787 or online at the School of Visual and Performing Arts’ website. Tickets also will be available at the door. 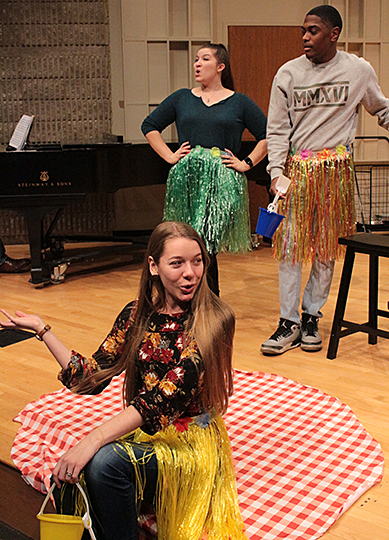 The University of Toledo Opera Ensemble is serving up a musical feast with its concert, “La Bonne Cuisine,” Friday, March 29, at 7:30 p.m. at the Blarney Event Center, 601 Monroe St. in downtown Toledo. The singers will present a smorgasbord of songs dedicated to food. Selections will include “The Worst Pies in London” from “Sweeny Todd,” “A Real Nice Clambake” from “Carousel,” “Food, Glorious Food” from “Oliver,” and many others. “La Bonne Cuisine” is a four-minute song cycle composed by Leonard Bernstein. Scored for voice and piano, the cycle includes recipes for plum pudding, oxtails, chicken breast with Turkish pudding, and rabbit stew. In addition, Lee Hoiby’s one-act opera “Bon Appétit!” will be performed. The piece was written for Jean Stapleton in her late career with music draped over the words and gestures of Julia Child, the mother of all foodies. 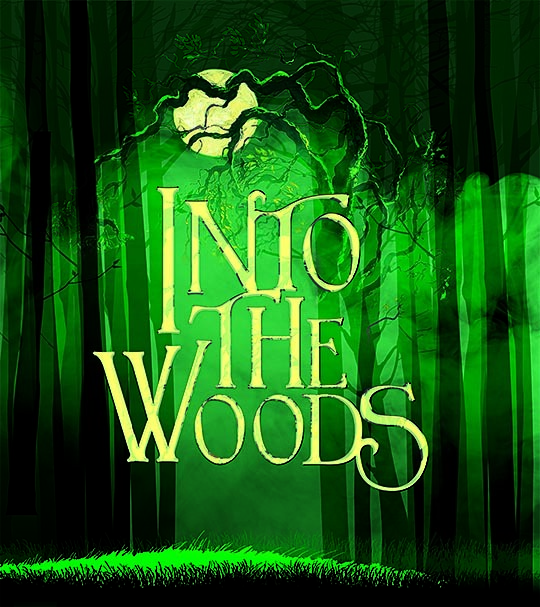 Tickets are $10 for all seats and must be purchased in advance at the Center for Performing Arts Box Office by calling 419.530.ARTS (2787) or on the School of Visual and Performing Arts’ website. Doors will open at 7 p.m., and beverage service will be available. Food service will be available at 7:30 p.m., and the performance will begin shortly after. For more information, visit the Department of Music opera page. The University of Toledo Roger Ray Institute for the Humanities has scheduled two events this spring. Dr. Andrew Mattison, professor and associate chair of the UToledo Department of English Language and Literature, will present “The In-Between: Europe Music 1890-1920” Sunday, March 24, at 3 p.m. in the Toledo Museum of Art Great Gallery. 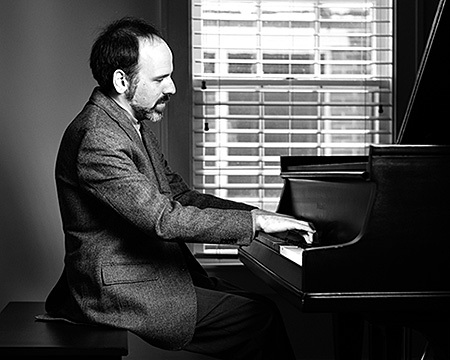 Mattison, a pianist, will perform works by Fauré, Reger, Rachmaninoff and Schoenberg, and he will discuss their relation to the literature and art of the period. Her lecture will take place at 7:15 p.m. in Memorial Field House Room 2100. Douglas will talk about how celebrity culture was not always part of our media and everyday lives. She will focus on the revolution of fame and its often underestimated impact on American culture. ‘“We invite campus and community members to join us as we explore and appreciate the richness of human culture,” said Dr. Mysoon Rizk, director of the Roger Ray Institute for the Humanities and associate professor of art history in the UT Department of Art. Mattison’s performance lecture is a co-presentation of the Toledo Museum of Art, the UToledo College of Arts and Letters, and the Roger Ray Institute for the Humanities. As part of the Great Performances series, it is supported in part by the Dorothy MacKenzie Price Fund and Hartmann & Associates. Douglas’ lecture is sponsored by the Roger Ray Institute for the Humanities, the Department of Communication, and the Department of Women’s and Gender Studies. For more information on the free events, contact Rizk at mysoon@utoledo.edu. 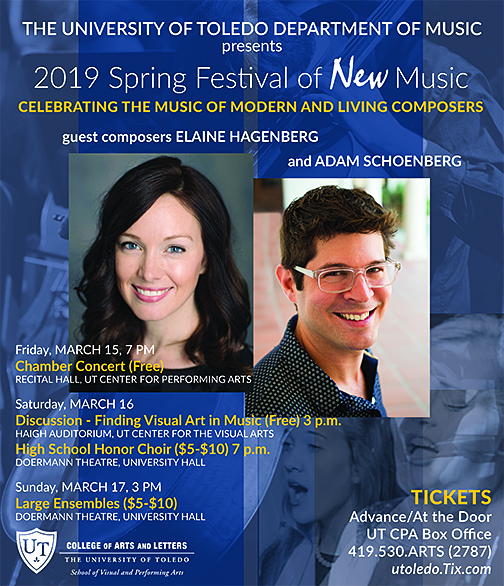 The University of Toledo Department of Music will welcome two guest composers for its 42nd annual Spring Festival of New Music. The festival celebrates the music of modern and living composers. This year’s guests are Adam Schoenberg and Elaine Hagenberg. Both are internationally recognized contemporary composers. Festival concerts will feature their music and that of other modern composers. Twice named among the top 10 most performed living classical composers by orchestras in the United States, Grammy-nominated Schoenberg’s music is “invigorating” (Los Angeles Times) and full of “mystery and sensuality” (The New York Times). His works have received performances and premieres at the Library of Congress, Kennedy Center, New York Philharmonic, Cleveland Orchestra, Dallas Symphony Orchestra and Hollywood Bowl. Schoenberg’s notable recordings include orchestral works featuring the Kansas City Symphony, an arrangement of “When You Wish Upon a Star” for Anne Akiko Meyers and the London Symphony Orchestra, and a compendium including his keyboard works by pianist Nadia Shpachenko. Hagenberg’s choral music “soars with eloquence and ingenuity” (American Choral Directors Association’s Choral Journal). Her compositions have been performed by universities, community choirs, schools and church choirs throughout the United States and abroad. Her music has been featured at All-State festivals, national and regional American Choral Directors Association Conferences, the National Youth Choir at Carnegie Hall, the Melbourne International Choral Festival in Australia, and the International Children’s Choir festivals in Canterbury and London. 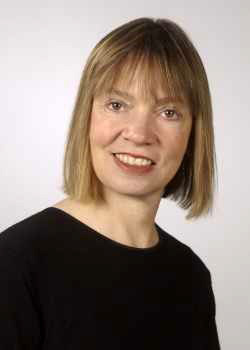 She has more than 40 commissioned works, including new music written for the American Choral Directors Association Women’s Choir Consortium, colleges and universities, community choirs and churches. In addition to composing, Hagenberg has been the guest artist and clinician for numerous conferences and festivals, including the Heartland Youth Choir Meet the Composer Festival, the Alleluia Conference at Baylor University, the Voices Unite Festival, the Birmingham First Composer Festival, the Savannah Sacred Music Festival, and the In Canto Mediterrano International Choral Festival in Milazzo, Italy. • Sunday, March 17 — Large Ensembles Concert at 3 p.m. in Doermann Theatre — ticketed event. Tickets to the Saturday and Sunday concerts are $10 and $5 for students, children and seniors. They are available on the School of Visual and Performing Arts’ website. Tickets also will be available at the door or by calling the Center for Performing Arts Box Office at 419.530.2787. 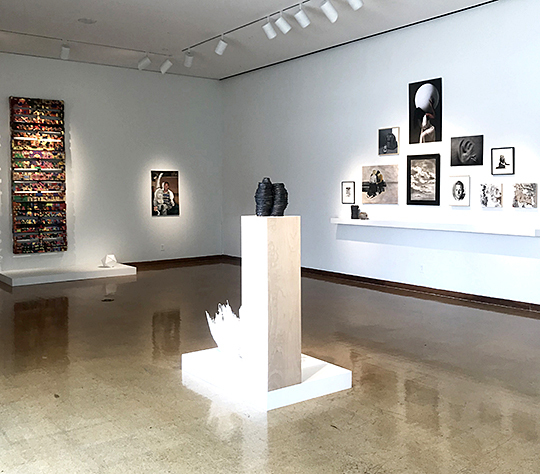 The Department of Art’s 2019 Juried Student Exhibition is on display through Thursday, March 21, in the Center for the Visual Arts Gallery on the University’s Toledo Museum of Art Campus. The annual competitive art exhibition is open to all University students regardless of major, and the works displayed cover a range of media. The Juried Student Exhibition is on display throughThursday, March 21, in the Center for the Visual Arts Gallery. A free, public reception and award ceremony will be held Friday, March 15, from 6 to 8 p.m. in the Center for the Visual Arts Gallery. This year’s juror is Marc Folk, executive director of the Arts Commission of Greater Toledo, who received a bachelor of fine arts degree in sculpture with a minor in printmaking from the University in 1988. Folk’s career with the Arts Commission began in 1996 as an instructor in the Young Artists at Work Progra. 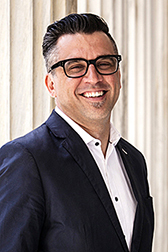 He coordinated the program in subsequent years and has served as director of the Art in Public Places Program and artistic director, prior to becoming the executive director in 2006. Under his leadership, the Arts Commission has instituted initiatives bridging economic and community development with the arts. Folk has represented the Arts Commission on numerous Toledo area, statewide and national committees to advocate for and promote the development of the arts, and served for three years as president of the Ohio Citizens for the Arts. He currently serves as co-chair of the Toledo Area Cultural Leaders and is a member of the United States Urban Arts Federation. In addition, Folk was a 2006 recipient of the 20 Under 40 Leadership Award and the 2009 winner of the Ohio Arts Council Governor’s Award for Arts Administration. In 2010, he was given the Toledo Federation of Arts Societies Special Award and recognized as The University of Toledo’s Outstanding Alumnus in the Arts. He has served as a grants panelist for the Arts Council of Indianapolis; Cuyahoga Arts and Culture; Arts and Science Council of Charlotte; Ohio Arts Council; and the National Endowment for the Arts.